Blood diamonds are a serious social and moral issue that plagues the world today. 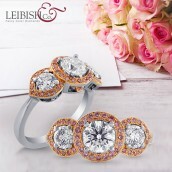 Leibish & Co. does not sell, endorse, trade or otherwise engage with blood diamonds, in any form or context. 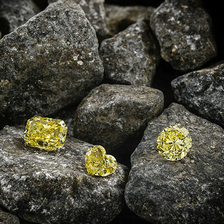 Conflict diamonds, sometimes called blood diamonds, are diamonds sold by rebel and terrorist groups to fund armed conflicts and rebellions against legitimate governments. During the last 15 years, the illicit trade of blood diamonds has been most prevalent in central and West African nations, and affected mainly Sierra Leone, Angola, Liberia, the Democratic Republic of Congo and the Ivory Coast. In all of these countries, citizens have been terrorized, and many times killed, by groups in control of the local diamond trade. Human rights organizations link no less than four million deaths to the trade in conflict diamonds. How did the World Handle the Issue of Blood Diamonds? The international diamond industry was eager to assure consumers they can buy a diamond knowing its history is untainted by bloodshed. Therefore, with the agreement between dozens of governmental and non-governmental agencies, representing all the major countries who have agreed to prevent the trade of diamonds that are being used to fund violent actions in Africa, the created the KPCS. In 2000, the South African countries known to have legitimate diamond trade began a campaign to track the origins of all rough diamonds. This campaign eventually resulted in the Kimberley Process Certification Scheme (KPCS), an international effort to eliminate the trade of conflict diamonds. These days, most reputable jewelers provide Kimberley Process certificates to prove the diamonds they sell are conflict-free. However, many countries haven't committed to the program and additional measures must be taken in order to eliminate completely, or at least minimize, the trade of these diamonds. 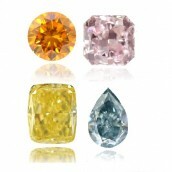 There is no quality difference between legitimate and conflict diamonds. 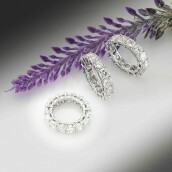 They cannot be differentiated once the stones are cut and polished. So the question remains – how can you avoid purchasing conflict diamonds and inadvertently supporting the continuation of brutal oppression? First of all, always purchase diamonds from a reputable jeweler. Be sure to ask where the diamonds came from and ask to see the diamond's certificate that details specific information about the stone. Be suspicious about unusually low prices, and try to avoid purchasing diamonds from countries that neighbor known diamond smuggling states. Demanding to know that the diamonds are conflict-free sends a strong consumer message that you will not support an industry that is funding violence against the population and against legitimate governments. There are strong moral and political reasons to avoid buying blood diamonds. Diamond communities in Sierra Leone and the Democratic Republic of Congo, for instance, are not currently benefiting from the sale of diamonds. Helping those governments build a respectable diamond trade will contribute to their countries' economic growth and to the quality of life of their citizens. Conflict diamonds damage this process and lead to violence and suppression of basic human rights and freedoms. A conflict diamond symbolizes hatred and oppression. Avoid purchasing blood diamonds and be sure you are buying a conflict-free precious-gem. You will find it easy, and most importantly, ethical.